I’m going to have to make it short and sweet this week. I have been really stressed out lately because my girlfriend just got diagnosed with the worst form of breast cancer that a woman can get. Abnormal cell structure, doesn’t respond to hormones, grade 3 which is the worst. We did some research and found the best cancer hospital in the world which is in Houston Texas. She has been down there twice in the past couple of weeks and now just started chemo. For icing on the cake, I also just found out that my dog has bone cancer. It is the most aggressive form of cancer a German Shepherd can get. She is 11 years old and the vet said he could cut her leg off but it’s real hard on a dog of her age to do that. He said he has found when doing so it will only give them an extra 6 months of life. And it will be a painful 6 months trying to learn how to walk with a missing front leg. Apparently a dog can get along better if it is their back leg that is missing. He recommended against it. That dog is like my child. She is with me all day every day and has been since I got her 11 years ago. So that, among several other things, is what's stressing me out right now. This week our guest speaker will be a woman named April Medeiros. April is the owner of a business called Silver Street Painting Company. They work with non profits and hire felons in transitional living to teach them a skill so they can become good productive citizens. This may mean better prices. I don’t know. We will find out. April is going to have a short discussion about her company and what she can do for REI members. Following that we will have a discussion on financing. That’s all I know. I can’t give you any more information other than that as that’s all I have been told. Come on down and spend some time with fellow successful individuals every week at REI. Doing so will help you keep your head in the game and your eye on the big picture rather than the day to day business. Understanding money this week at REI.... Debt, leveraging, financing, etc. This week at REI our special guest speaker will be Matthew Philmore of VIP Financial Education. Accelerating the payoff of all mortgage and non-mortgage related debt. Accelerating the acquisition of investment real estate. Unique and more effective budgeting. Matthew Philmore has studied under the founders of the FICO credit scoring system. He speaks nationally on the topics of credit scoring, debt elimination, fiscal responsibility and proper budget management. He will be teaching the fundamentals of money, leveraging, taxes, and financing that are often not taught in schools. A good understanding of how all of this works together allows you to pay the least in taxes as a result of owning a business, create multiple residual income streams, own real estate free and clear faster than typical strategies, etc. They are promising lots of good free information and techniques they call debt weapons that you can use at our upcoming seminar. We’ll see you there! Know And Understand What Is Happening Politically To Position Your Investments So You Win! So, have you been thinking about buying some “safe guaranteed” government bonds or treasuries? How about some nice “safe” mutual fund that invests in bonds or treasuries? Lets look into the United States Debt and determine what you should NOT have your money invested in as we are in the middle of a government bubble. Smart investors never invest in a bubble. They buy at the bottom of the market after its popped. It seems that most people I talk to know we have this massive 20 trillion dollar debt that Obama created but most don't know who owns it. Which helps in determining how it gets paid off, what gets negotiated, etc. People act like China owns all of our debt but that simply isn't true. China did help cause our debt though. Their devaluing of their currency over the years helped create the debt along with reckless government spending and entitlement programs that aren't sustainable. Over 5 trillion of the debt is owed to 230 federal agencies. This is Federal Debt to the Federal Government. These federal agencies bought US Treasuries. And the largest of all is Social Security at 2.8 trillion. You also have the military retirement fund, office of personal management, medicare, other federal government retirement funds, etc. Yes they do still have pensions set up for government employees and they will fight to keep their pensions rather than let them go into bankruptcy. The rest of the debt is owned by the public. Of which 5 trillion is foreign public debt. Which mainly includes China and Japan. China's owed roughly 14% of the total debt and Japan 13% of the debt. 2.5 trillion of this public debt is owed to the Federal Reserve. I personally don't care about that. With their mismanagement of our economy they deserve to lose money. Especially when they are the ones that can print these notes out of thin air and require the US to pay them back interest on everything they print. As you probably know the Federal Reserve is a private business that is owned by the 12 largest banks in the US with insane powers no private business should have. So who cares about their debt. Besides the fact that their debt is interest we haven't paid them on money they printed. Federal Reserve "Note". They print and we pay them back the value of the currency plus interest. But they CREATED that currency out of thin air. How would you like the ability to print dollars whenever you want money. Then charge the people you give them to interest on what you printed. A huge scam. Then we have 1 trillion that was bought by mutual funds. That would be the idiots that bought mutual funds that bought the debt. Would you buy government debt right now? If you would you deserve to lose your money. I don't care about their losses. 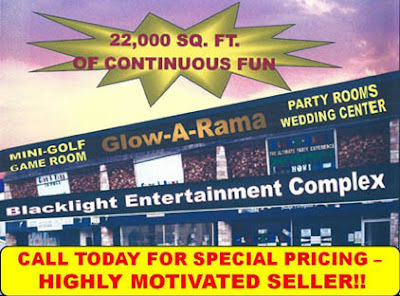 I don't think we should guarantee anyone's bad investment. Maybe the day when the public starts guaranteeing my real estate investments is the day we guarantee peoples stock market investments. What kind of idiot guarantees someones bad investment? Also in public debt there is local and state government pension funds. I also am not overly concerned about that. But I'm sure you are if you work for the government. You people need to stop this crap and set up 401K plans. What company these days still has pensions but the government? That total debt is 803 Billion. Then you have banks that own 515 billion of public debt. And that's the debt and who owns it. Now lets see what we want to guarantee and what we will negotiate. I personally think paying the people back for the government robbing them of their social security is important. Then government officials that bought treasuries with social security need to go to jail. Or better yet get on a payment plan to pay back what they spent. What do you think is important? And what isn't. I told you what I think isn't. 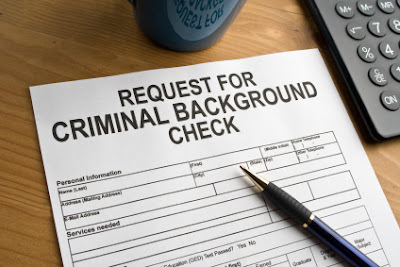 You Now HAVE TO Rent To Violent Criminal Offenders Or You Are In Violation Of The Fair Housing Laws. Several years ago we were ankles deep in police state type control of the people. We are now much deeper. More like waist deep. And it’s getting deeper by the year. The government has found that the more they push you the less you fight back. The people feel weak and hopeless. Like they can’t make a difference. That’s because the government no longer listens to the Will of the people. There was a day when government officials thought of themselves as civil servants. That they worked for the people. But today they are more like mini dictators that’s primary objective is to control the people. They know better than you do how to run your life. Don’t you know that? The people are too afraid to fight back or do anything about it so on almost every occasion the government wins. In Virginia, they have now decided to issue a dictate stating that if you don’t rent to violent criminals, rapists and child molesters you can be charged with violations to the Fair Housing Act. And if you do you can be sued by the neighbors for your negligence. You should have never put a child molester next door to a child that got raped by them. The world is crazy right now. The government on local, state and federal levels is operating with absolutely no since of reason or logic. For the past 8 years they have been pushing as hard as they can to take away your rights and now we are in the wake of some very serious damage to this country which is potentially beyond repair. See below the details of the new government mandate that Virginia has dictated. Do you agree with it? I can’t think of a single landlord who would. I’m 100% on board with the existing protected classes that we have but adding criminals to the protected classes is shocking. I do not see a huge problem that has lead to all criminals having to live on the streets as a result of landlords not renting to them. They always seem to end up not having a tremendous amount of difficulty finding a place to live. There are plenty of landlords that don’t care. The free market system should be allowed to operate without this type of government involvement. You as a landlord should not be FORCED to rent to a criminal if you don’t want to. It’s similar to the news where they were trying to force the cake decorator business to make a gay cake. If he doesn’t want to make one than go to another cake decorator and spread the word around that that’s a bad business. Then one of two things will happen. Either the general public will agree and not support his business or they will disagree and continue to do business there. In the end it should be the public that chooses, not the government. We had some laws in the Virginia General Assembly that were an attempt to force landlords to rent to people with a different gender identity. The law added to the list of protected classes. I personally didn’t know of some major problem that existed with landlords not wanting to rent to transexuals. I actually don’t know a single landlord who would care. I personally love my gay tenants. As a whole they are typically very clean people and they take great care of my place. Government intervention where it is not needed. It’s time that they government backed out of our lives and stopped this intense pressure of new regulation where regulation isn’t needed. It’s nice to every once in a while be able to get back some of that hard earned money you give away to the government all year. It isn’t really an entitlement program but it sure feels like one. It’s very strange having the government actually put money back in your pocket. I’m so used to it being taken out. You will get the knowledge of how to take advantage of this program at this week’s REI meeting. This week at REI of Virginia we are going to have our good friend Marla Robertson of Lead Safe Roanoke at our meeting. 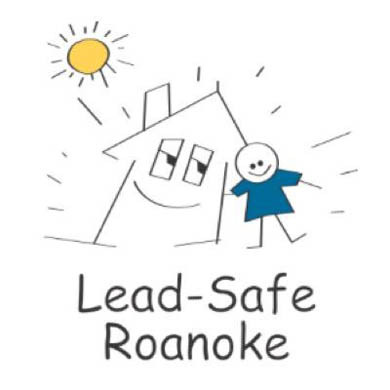 Lead Safe Roanoke is a Roanoke City government program that was set up by Marla and Ann Weaver. These ladies apply for grant money which pays for lead abatement and encapsulation when the house has children in it 5 years of age or under, or if a pregnant female lives there. Right now they have funding again. If you have lead paint on the walls or on a metal roof they will paint over to encapsulate it. They will also test the dirt around the house and if it has lead they will remove and replace it with several inches of mulch. If you have old windows or doors that have lead on them they will replace them as well. 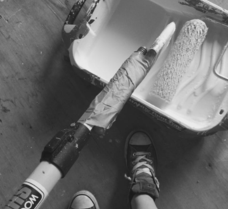 Painting over windows and door trim does not solve the problem. They have to be replaced. They are continually opened and closed which will rub the paint off and get back down to the lead paint again. I have used this program several times and every single time the windows needed to be replaced and dirt had to be excavated around the house. Come on out to our meeting this week to learn about this program so you can take advantage of it. There is only so much funding for this each year so you have to jump on it before it runs out. What a tight election that was. The votes were counted and recounted several times. John Garland and Trish White-Boyd were neck and neck. It turns out that REI of Virginia played a very important roll in this election. This is a lesson to be remembered for all future candidates. You can not blow off the REI meeting if you are not the incumbent. We have 715 members in our organization. At least 1/3rd live within the city limits. It is a very bad idea to blow off the REI Small Business debate. If you don’t already have major support form being in office for several years, you may lose the election from not showing up to our debate. The proof is in the pudding below. Sherman Lea who got 82 %. Sherman was running unopposed. 17.8% of the public wrote in a different candidate. Surprisingly large number of people. 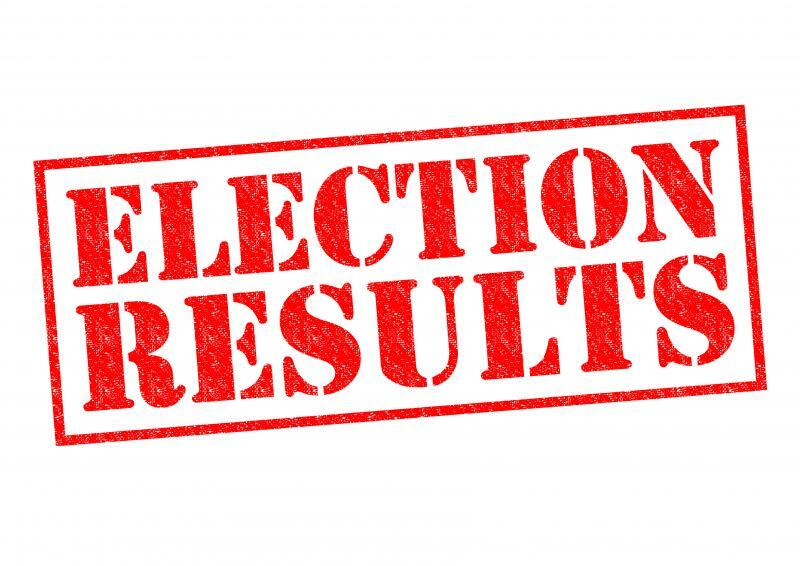 REI of Virginia would like to congratulate the winners of the City Council and Mayor positions. Sherman Lea, Anita Price, Michelle Dykstra and John Garland. We know it was a long hard road for you. Now we hope that you will always act in the best interest of both the citizens and businesses. Creative thinkers are what we need. Relationship builders. A good relationship between local government, real estate investors & small business owners could make this city the Shining Star in the Valley again. UPDATE: THIS LAW DID NOT PASS YET. THIS WILL SERVE AS A GUIDELINE FOR A GROUP CONSISTING OF HOTELS, ONLINE BUSINESSES LIKE AIRBNB, THE TAX MAN, CITY GOVERNMENTS AND OTHER INTERESTED PARTIES. THIS GROUP WILL REFINE THE LAW AND PROVIDE A FINAL VERSION NEXT YEAR. This week we’re going to have an in’s and out’s meeting about airbnb. For those of you who don’t know, airbnb its similar to VBRO (vacation rental by owner). But it’s much larger. Airbnb is a website where people can stay in someones house rather than a hotel when they travel. It’s the home version of Uber. With airbnb you can rent out rooms in your own house for a night or for a few days, whatever you wish. What a great way for someone to make a few extra bucks. Several people across the country are using airbnb to avoid foreclosure when times get tight. Or to have money to buy a new car or whatever. It’s a fantastic survival tool just like the Uber concept where you use your own car as a taxi and drive for a while when you’re bored or need some extra cash. My tenants can even make money to pay me their rent with this fabulous new tool. Our officer, Sue Brocker, has been an airbnb host in one of her properties for a while now and she is making some good extra money doing so. Roanoke City was trying to control the citizens by making them jump through hoops and pay several hundred dollars to file a legal notice as well as a non refundable fee to plead before the board of zoning appeals for them to graciously allow you to let people to come stay in your own personal home. As if any government official has the right to prevent you from having people over at your house. All I can say is WOW. Isn’t that the perfect demonstration of how a fringe leftist thinks? That they actually have the right to be able to strip your property rights and your liberty away from you if they wish. Or if your stuffy neighbor wishes. Control is the name of the game for the far left guys. It’s all about keeping people under their thumb. And they do this under the guise of political correctness. They develop reasons why the government needs to govern. Why they need to control the people. To protect the victims… Don’t get me wrong, Republicans do this as well. Just not as much. The only political organization that is not focused on stripping your liberty away from you are libertarians. These types of progressives are often very self important. I have been told by this city councilman, on several occasions, as we wrap up a conversation, in a jokingly way, to “stay out of trouble”. Haha, that’s real funny. Shouldn’t I be telling them that? I am the one that’s the law abiding citizen. He’s the one that better stay out of trouble. This $10 dollar buildings to friends program they set up very well could eventually end up landing some of them in prison. They don’t think so though. These types feel they are too important to get locked up but I can assure you that they aren’t. To take this further, I was told at the end of this particular conversation a few months ago by this councilman, “See, I will even talk with people of the likes of you Dallas.” Gosh that guy is a real comedian isn’t he? Well, we have been lucky so far. Often when the city tries to strip away your liberty, it is given back to you by the state. Gosh those darn liberty loving people are always messing things up for the oppressors. The city now has no authority to force you to jump through hoops or prevent you from renting out your home to guests as it now has been deemed a right. As long as you are not infringing on the rights of others, they need to stay out of the way and focus on their multi layered pension programs, world class health care, and other ways of robbing you. Ohh, did you just learn that I am not a fan of the government choking the life out of the citizens? 1. Specifically prevents Any Locality from passing laws to prevent you from doing this in a residential dwelling no matter what the zoning is. Sorry Roanoke City too bad you aren’t allowed to control us. 2. Prevents the locality from forcing you to adhere to any zoning or licensing requirements that a hotel, bed & breakfast or any other like commercial organization has. They can’t legally impose any additional regulations upon you for doing this. The City was in hot water from what they were doing to the citizens of Roanoke so they immediately terminated their citizen control program. 3. As of now if you rent it out for fewer than 45 days they can not even consider it as a business to tax. However if it is occupied more than 45 days than they can tax you but it has to be done in a uniform manor among all operators which is you if you operate one of these temporary lodging facilities in your house. 4. Localities are allowed to place local ordinances related to noise, trash, health and safety, parking, yard signs etc but only if those ordinances effect not only the temporary lodging but the houses around it as well. 5. A locality can force you to get an insurance policy of a minimum of 500K liability coverage and if they require that and if they catch you not having it they can charge you no more than $200 per violation. 6. If you don’t pay your taxes on the 45 day or more annual stays they can put an ordinance in place that makes it so you are prohibited from operating this temporary lodging, that you can be audited by the tax man, and require you to register your name and address through an online portal maintained by the city or town. 7. This law specifically calls a tenant both a limited residential lodging operator and a primary resident allowing them to do this if they have lived in the unit for at least 60 days. However it also says that nothing shall be construed to supersede or limit contracts or agreements between or among individuals for the use of the property. So that says that if it is in your lease that they can’t act as a residential lodging operator than they will not be allowed to do airbnb. However if it is not in there they have the right to do so. I will be convincing all of my tenants when having difficulty with rent or losing a job that they should consider making some extra money with airbnb and Uber. 8. If it’s in a homeowners association or condo association contract that you can not do this than you can’t do it. As that is also a contract between parties. 9. The hosting operation such as airbnb or VRBO has to register with the state and collect taxes for them. That will automatically come out of the portion of money they keep. 10. This law does not say anywhere that I see that you can’t do this in one of your rentals. The city before was making requirements that you have to live in the house to do it. I see no requirement such as that in this state law. 11. They will revisit this in 2017 and determine if there needs to be changes made after meeting with a group consisting of the hotel industry, hosting operation, local government and local tax officials, property owners and other interested parties. Come on out to this meeting. It’s not going to involve all of these details. I am giving those to you now. We’re past that at this point. Save this email for reference. The focus of our meeting is how to use programs like airbnb to make some extra money for yourself. This could even be a great way for a person just getting involved in real estate investing to save up for their first rental. Going to be a fun meeting, see you there! 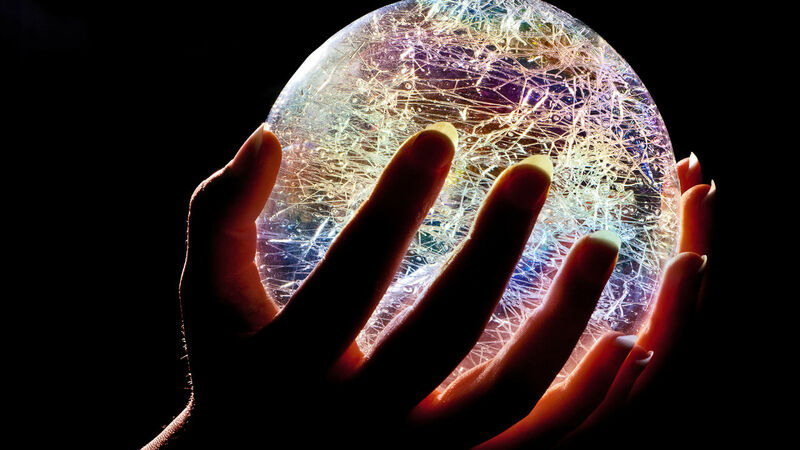 How would you like to be able to predict the future? To know today what you should buy to make the best return on your money over the next twenty or thirty years. Should you buy low priced, high rate of return properties in depressed parts of town? Old Southwest used to be a depressed neighborhood. Or more expensive, lower rate of return properties in an already well established more desirous part of town? Andy Stowasser is going to do a mathematical analysis and lead a discussion to look at the pros and cons of both scenarios. Come on out this Tuesday for our educational discussion that will show you where in real estate to invest, based on your own unique situation, to accomplish your personal goals. IF YOU LIVE IN THE CITY DON’T FORGET THAT TUESDAY IS ELECTION DAY AND YOU NEED TO VOTE! Last week we had a good turnout for our Small Business Owner City Council Forum. For the next election the word DEBATE will be in it as several of you have requested, not Forum. I would like to congratulate all of the candidates that were not afraid to come and talk with our group and answer a couple semi difficult questions. The candidates that showed up at our meeting displayed to our group that they are strong enough to tackle issues that are important to what is likely the largest single location small business group in the entire state, AKA, REI of Virginia. Overall the candidates agreed upon several important issues. They don’t feel that it is in the best interest of the tax paying citizens to give property we own away to friends for 10 dollars. That was clearly a bad decision of the currant city council. 10 dollar buildings to friends has developed into regular yearly commonplace within our local government and the overall consensus was it needs to stop. They obviously also all strongly felt that jobs are key to our economy. The differences lie in exactly how jobs are created. Below is a link to a poorly written article by someone who is clearly not an entrepreneur, acting like they are an economic analyst. In this Roanoke Times article they made sure the name was removed from the article so their reporter wouldn’t be ridiculed for their ridiculous stance. The writer cited a dirty politicians engineered statistics that were designed to fulfill his pet project as evidence. He / She essentially says that nothing can be done regarding keeping jobs in Roanoke and it is painful to him / her that the small business owners in REI of Virginia don’t know that. That it’s an “unhealthy fixation” to even think that the city could have asked companies like Advance Auto Parts or Norfolk Southern what can be done to maintain a great business environment for them here in the city. They further imply that our great leaders have done the best job that can be reasonably asked. Typical garbage that you can expect to read from the local rag. Jim Garrett (Conservative Republican Write - In Candidate for Mayor AND City Council) The Republican Party asks that he is written in with no other candidate being chosen. They feel that this will give him the best statistical shot this late in the game. Michelle Dykstra came to our meeting prior but did not stay for the debate. I have briefly talked to Michelle. I would say she is a Democrat by my conversation and the way she answered other forum questions. She has been known during this election as one of the most well spoken. 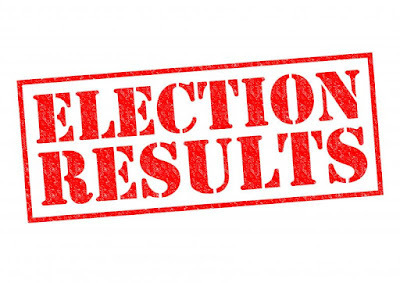 The candidates that did not show up were Sherman Lea, Anita Price and Trish White-Boyd. I have been told that anything that Anita does, Trish does. Anita decided she didn’t want to be questioned on business related issues. So the two of them didn’t show. I have had lunch with Sherman Lea a couple of times. Sherman didn’t do as we agreed which was to assist with getting REI of Virginia one of the City Council Appointed Water Authority board seats so we have at least 1 landlord as a representative, however I can honestly say that I didn’t follow up with him much. A couple attempts and I gave up feeling that he wasn’t going to honor his word. Maybe one day he will revisit that issue with us. Sherman is a landlord. As is Mayor Bowers. Most people involved in politics are as it seems. Primarily on a national and state level. A few of us spoke with Sherman’s son after the REI debate. His mom / Sherman’s wife, has been in the hospital all week. So that is what I am told why he didn’t come. So that’s the rundown on the candidates. Please vote for who you feel will best represent our entrepreneurial endeavors.